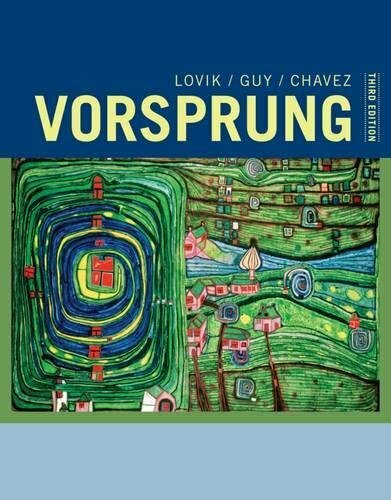 1133607357 -An innovative and lively introductory program, VORSPRUNG: A COMMUNICATIVE INTRODUCTION TO GERMAN LANGUAGE AND CULTURE, 3E uses a five-skills approach that emphasizes the acquisition of communicative and cultural competence without sacrificing attention to formal accuracy. Unique “focus on form” activities help readers develop realistic abilities in speaking, listening, reading, and writing German. The program presents a systematic, clear introduction to the essentials of German grammar and practices high-frequency structures and vocabulary in interactive activities. It also provides relevant cultural knowledge as well as a wealth of spoken and written authentic textual materials.